World Press Freedom Day, Ghana, May 3rd. For over 50 years, the Indonesian government has systematically banned, barred, restricted and monitored all foreign media from reporting in West Papua, local journalists are regularly arrested, tortured and even killed. Those that do manage to report, are told what to report, or face heavy handed repression. This 1st May will also mark exactly 55 years to the day that Indonesia first occupied West Papua in 1963 and began the genocide of the West Papuan people. West Papuans call this “The Day of Terror”. On 1st May 2016, over 1000 West Papuan people, including children were arrested just for peacefully demonstrating on this day. Human rights abuses are increasing in West Papua. Children are being arrested, and dying of malnutrition on the foothills of the biggest goldmine in the world. Due to a media blackout, the world know nothing. Without intervention, there is a real threat that West Papuan people, and their lands face extinction under the hands of a brutal Indonesian military occupation. We are deeply concerned about the increasing number of arbitrary arrests and torture of West Papuan activists, peaceful protesters and journalists. The Government of Indonesia has severely limited the freedom of expression, freedom of peaceful assembly and freedom of information in West Papua due to the growing number of supporters for the ULMWP. At this years #WPFD2018, with the theme, ‘Keeping Power in Check: Media, Justice and The Rule of Law’, we would like to highlight Indonesia’s effective media blackout in West Papua, and call on all journalists to please call for the Free and open access to West Papua, and ensure the protection of local journalists and all media outlets in West Papua. In February 2018, BBC journalist Rebecca Henschke and her team were deported by the Indonesian government from West Papua because she “hurt soldiers feelings” by uploading photos of the situation on Twitter. In 2014, French journalists Thomas Dandois and Valentine Bourrat were arrested and jailed for 2 and a half months just for reporting in West Papua. In October 2015, after journalist Marie Dhumieres visited West Papua, three men who spoke to her were arrested and interrogated for 10 hours by the Indonesian police about her activities. In 2016, journalist Cyril Payen found out that he was permanently banned from going to Indonesia, for making a documentary about West Papua in 2015. In 2017, Al Jazeera journalist Jack Hewson, was about to go to West Papua to report on the situation but was banned from going there by the Indonesian military who accused him of “dangerous activities,”. Two journalists Franck Escudie and Basile Longchamp were deported from West Papua and Indonesia on 17th March 2017 and have been banned from returning to Indonesia. 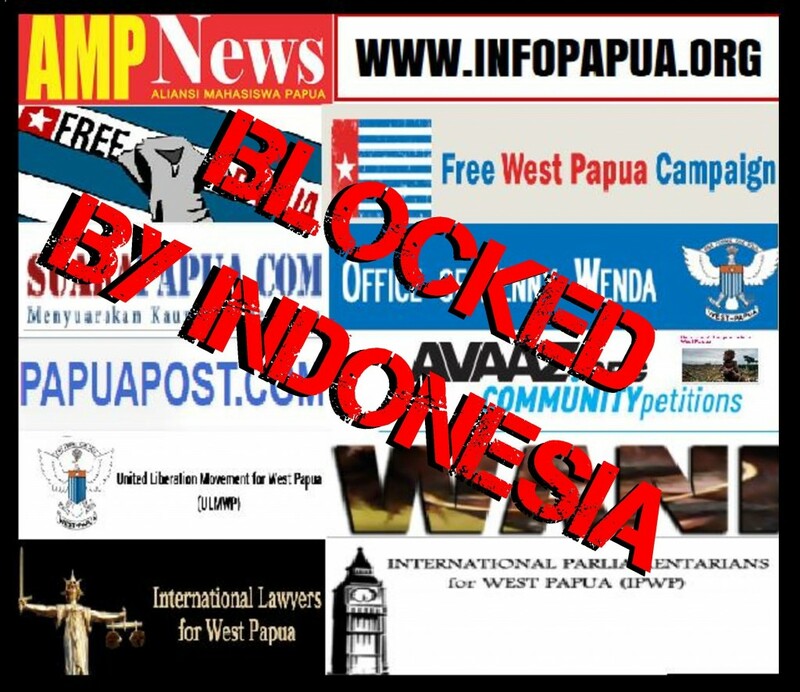 Its not just journalists that are banned in West Papua, but any websites that advocate or speak about West Papua have been subject to serious attack. Last year Avaaz was banned across the whole of Indonesia for hosting a petition calling for West Papua to be returned to the United Nations, and a vote on independence. Anyone inside West Papua caught signing it was threatened with arrest. Despite this an unprecedented 1.8 million people hand signed it in one of the most significant petitions of our century. Indonesia have called it a hoax. For at least 25 years and likely much longer, foreign correspondents wanting to report from West Papua have had to apply for access through an inter-agency “clearing house,” supervised by the Ministry of Foreign Affairs and involving 18 working units from 12 different ministries, including the National Police and the State Intelligence Agency. The clearing house has served as a strict gatekeeper, often denying applications outright or simply failing to approve them, placing journalists in a bureaucratic limbo. In 2015, the Indonesian government looked ready to open access to West Papua, when President Joko Widodo made an announcement stating that the government would lift restrictions on foreign media access. But Phelim Kine, the deputy Asia director of Human Rights Watch in New York, says that the announcement hasn’t pulled much weight. 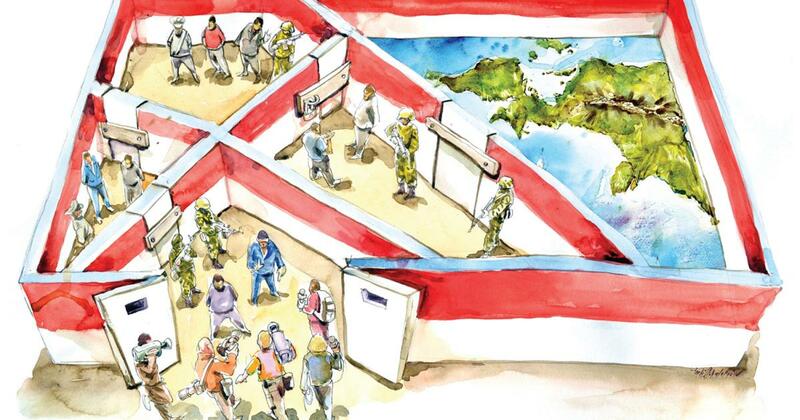 See Human Rights Watch’s “Something to Hide” report on media access in West Papua. Indonesian Police Spokesperon Agus Rianto said that a foreign media ban was necessary to prevent foreign media from talking to “people who opposed the government” as well as to block the access of “terrorists” who might pretend to be journalists as a means to travel to Papua. Indonesian Defense Minister Ryamizard Ryacudu warned that foreign media access to Papua was conditional on an obligation to produce “good reports.” Ryacudu did not precisely define “good reports,” but he explicitly equated foreign journalists’ negative reporting on Papua with “sedition” and threatened expulsion for any foreign journalist whose reporting displeased the government. Clearly Indonesian President Jokowi’s claims of allowing media freedom in West Papua have proven to be entirely false. All these website were banned by the Indonesian government in 2017 and remain so. This is an incredibly important time for West Papua and we are calling on our global networks to help create a media alert for West Papua beginning April 30th, throughout May. We need the global spotlight on West Papua this May. PLEASE JOIN US. Join the Global Day of Action on 3rd May, calling for full media access to West Papua. Please follow the Free West Papua Campaign on Facebook and Twitter and forward all news to media, TV, government officials and organisations across social media. Retweet, retweet, retweet, and help us to reach new audiences, and friends for West Papua. 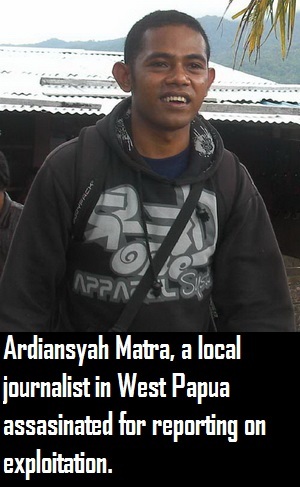 Send information to your local and national press updating them and asking them to report on West Papua.